I heard Adam Carolla mention this quick tip, and it really works. I had to pass this along. 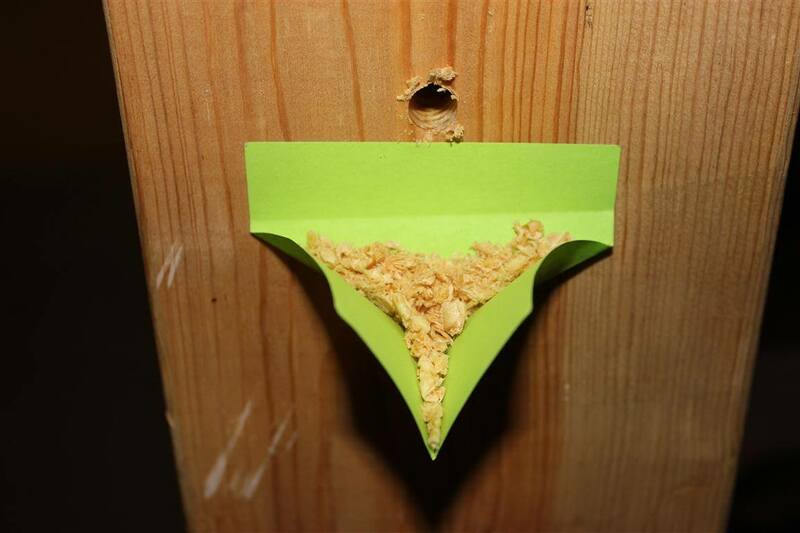 If you need to drill a hole in your wall and you don't want to make a mess on the floor, just use a Post-it® note. You make a couple of quick folds, paste the paper on the wall, then drill your hole. All of the drywall dust or whatever you're drilling in to will fall on to the paper. Done and done. Is it cheating to use tandem circuit breakers?